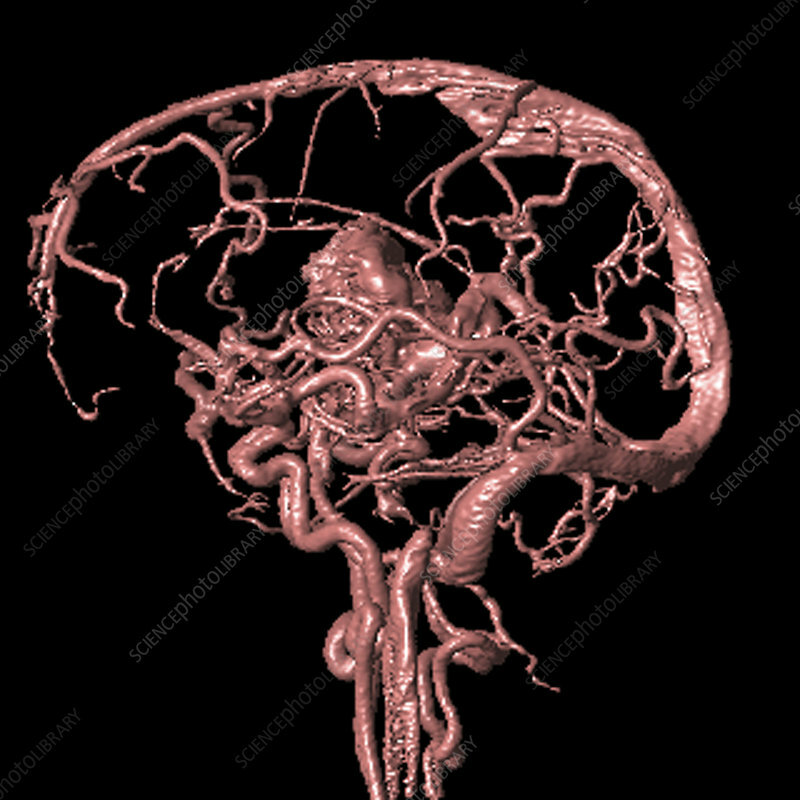 Brain arteriovenous malformation. Image 6 of 6. Coloured magnetic resonance angiography (MRA) scan of the brain of a 31 year old man (side view). The front of the head is at left. The image shows a right thalamic AVM as a knotted red mass, slightly obscured (centre). An AVM is a congenital malformation of the blood vessels (arteries and veins) that can rupture and bleed inside of the head and cause seizures, headaches, stroke-like symptoms, and other fatal complications. MRA is a non-invasive technique to image blood vessels in the body that uses a combination of a very strong magnetic field and radiofrequency (RF) pulses to image the flowing blood. For all images in this rotational sequence, see M136/300 - M136/305.